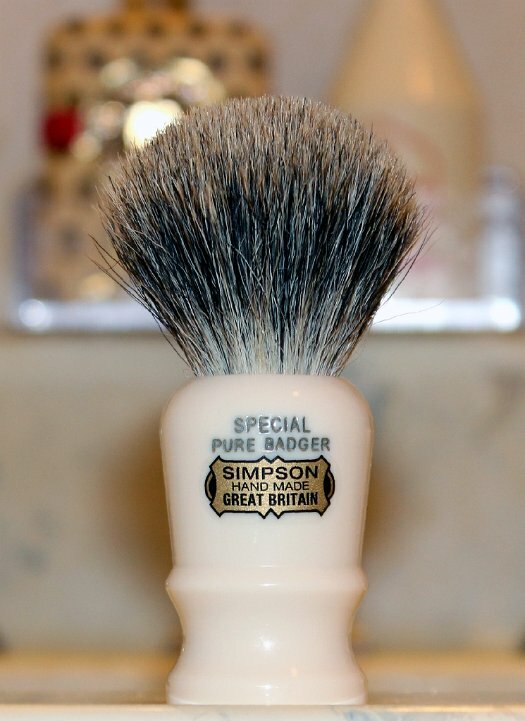 The Simpson 50 series comes in five sizes each filled with Simpsons Best Badger hair. 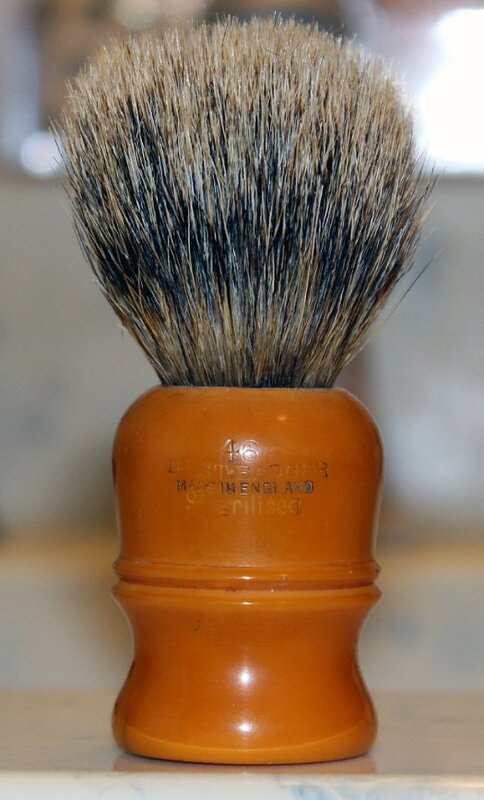 This AS2 was also made for Abraham & Straus and is just slightly smaller than the modern Simpson M7 handle. 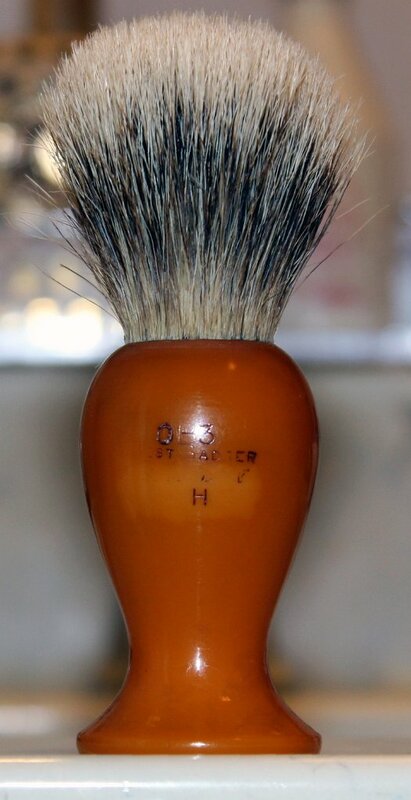 I've seen similar A&S Simpson brushes stamped M6 which fits with the smaller size. 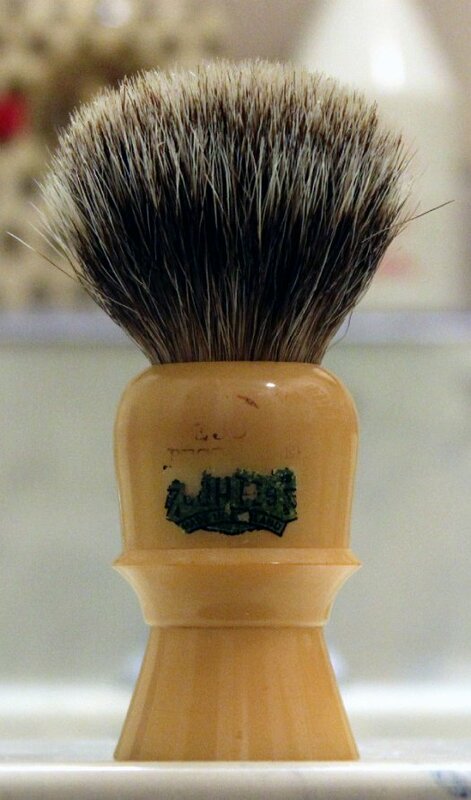 This brush was made for Abraham & Straus company and is based on the Polo 8. The 46 also is called The Berkley and only comes in one size. This one was made for Gimbels. 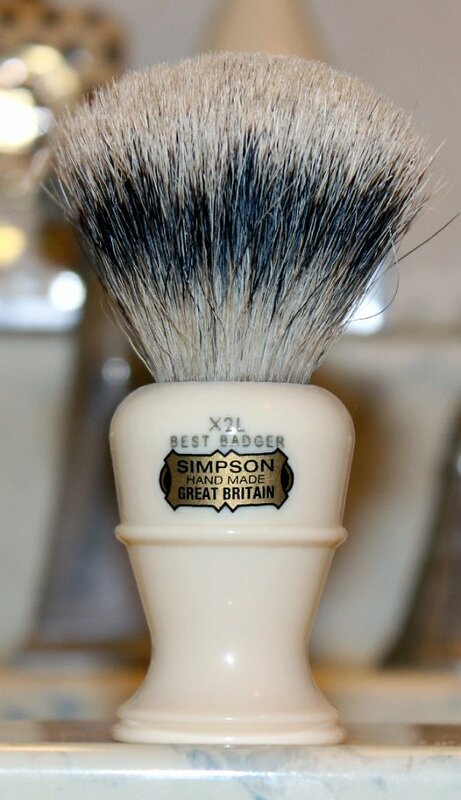 The Case is one of Simpsons smaller brushes and was designed to fit in a vented tube that could be purchased separately to use as a Travel Brush. 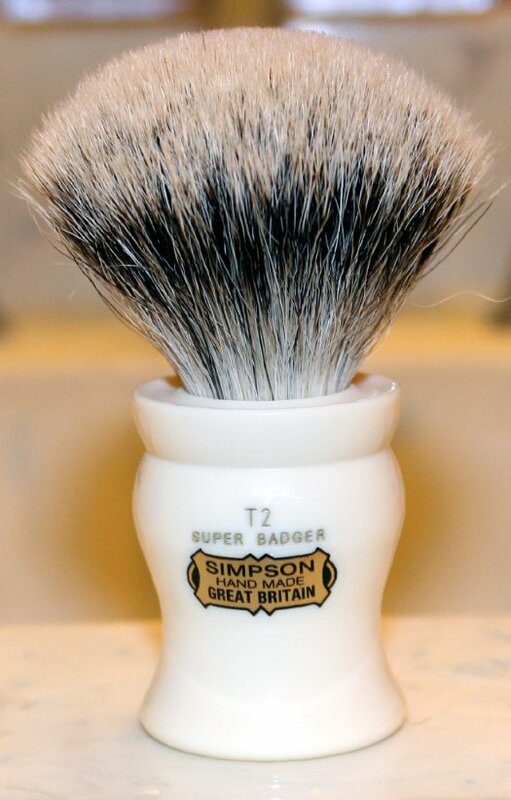 The absolute densest Simpson Shaving brush is the Chubby series, available in two types of Badger Hair and three sizes. 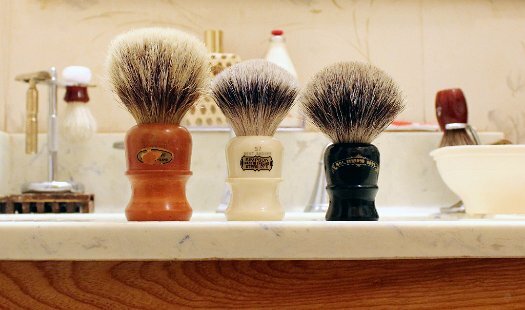 Regardless of which size or grade of hair, the Chubby brushes have more actual hairs than any other Simpson brush and feel pillowy on your face. This Beaufort was labeled under the Coates name. 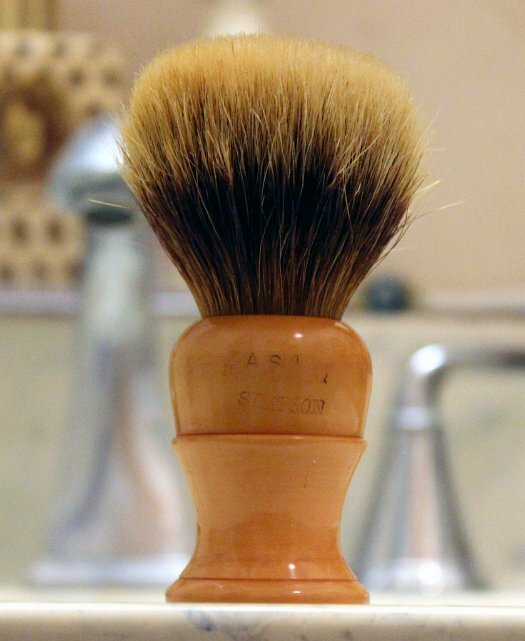 Simpson had two brands and Coates was used mostly for hair brushes. 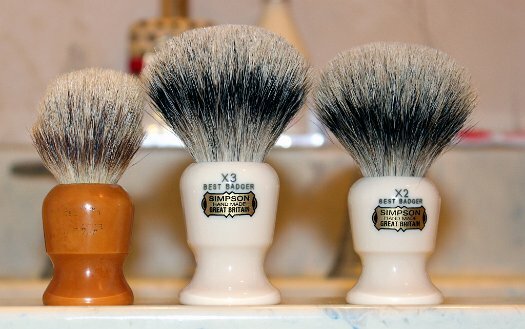 This Butterscotch Catalin Commodore X2 on the far left was made for the Army Navy Store London. Note that it is slightly smaller than the modern Commodore X2 that is on the far right. 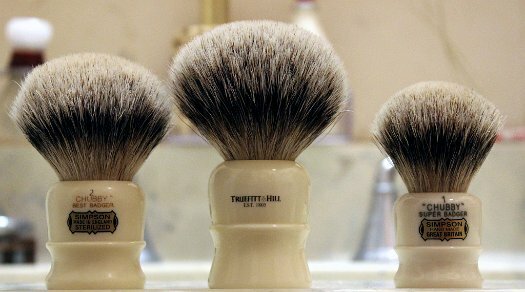 The Duke is available in three different sizes but all of mine are the #2 size. "Duke" was AE Simpsons nickname. 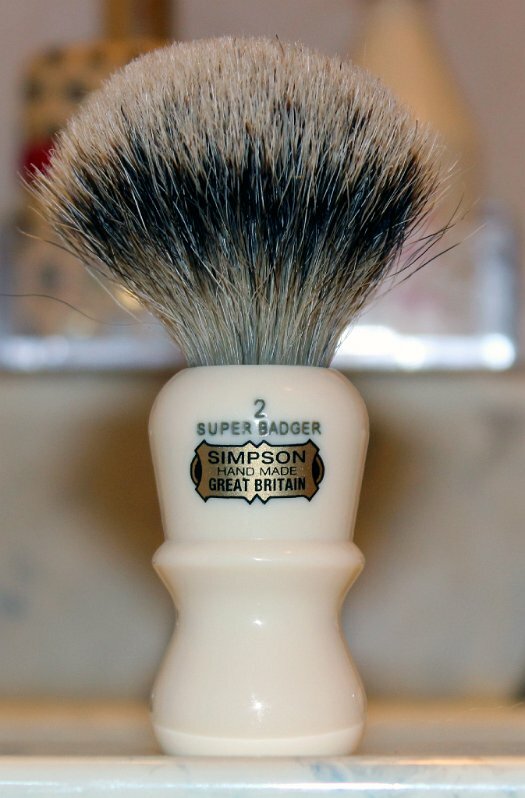 This is the #2 size Emperor with a Super Badger knot. The Keyhole series come in the four sizes seen here. 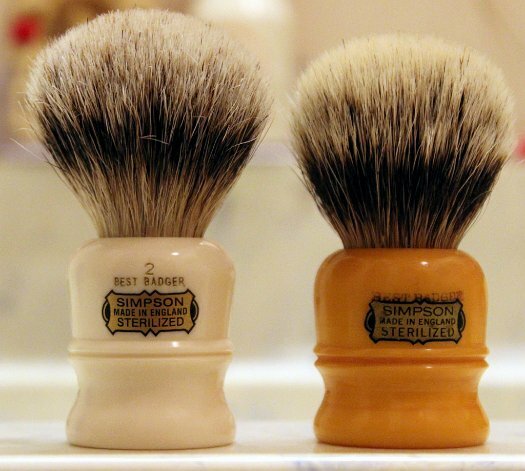 The small #1 on the far left was made for Simpson Picadilly which was a clothing store separate from Simpson Brush but also started and owned by AE Simpson. Here is a quite different Persian Jar than the modern version with a much deeper waist. It too was made for Gimbels New York. 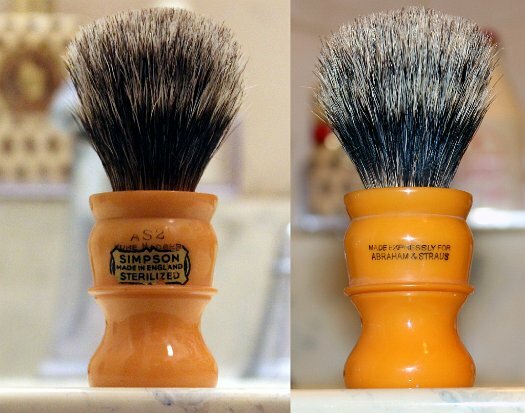 The Special is among Simpsons least expensive shaving brushes but it performs just like the more expensive models. 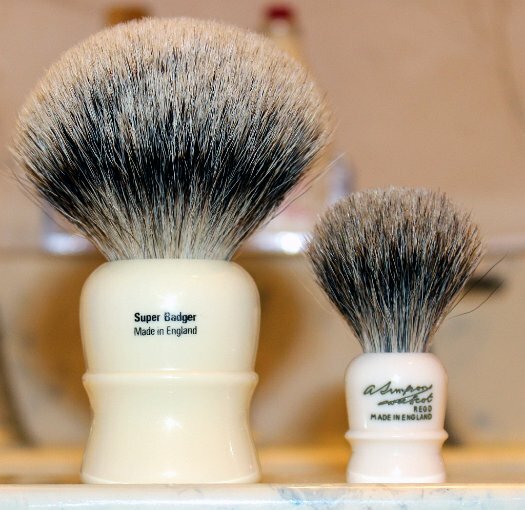 The Colonel X2L is available in only one size but is great at making lather under most any conditions. The Tulip is similar to the "M" series. 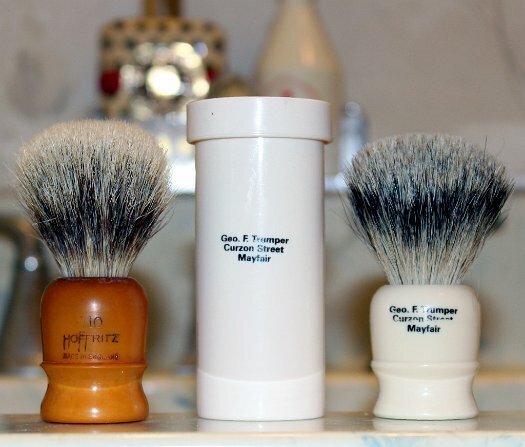 This is a T2 with a Super Badger knot. One of these things is not like the other ... A Wee Scot.